The Hughs all offer rewarding - and ofthen stunning - climbs and views. Some are already popular, many await discovery. Each one has great character. This is what the Hughs are all about. 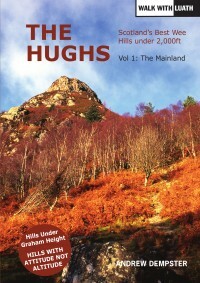 From Arthur's Seat in Edinburgh to An Grinan in the far north, from Ben Hiant in the west to Bennachie in the east, the Hughs are a phenomenally diverse range of hills, stretching to all points of the compass. Accessible to people of any age, the Hughs are not defined by the sterile logic of relative height - they are a choice of the heart.